east side bride: What the hell do we buy our parents as a thank you gift? What the hell do we buy our parents as a thank you gift? First off, this site has helped me keep my sanity for the last year since getting engaged. Thank you for constantly reminding me that I'm not crazy or an idiot for thinking about weddings as I do. That being said, any suggestions for gifts for the parents? Both of our parents are helping us pay for the wedding and we wanted to give them something at the rehearsal dinner. Something beyond the traditional pocket watch (what the hell is that about? seriously - is that a thing?) or expensive frame for a future wedding photo (blah, boring and BORING). Please help! We're getting married in two and half weeks and I can't think of anything that isn't overdone or cheesy. joan baez or led zeppelin? harry potter or james bond? sweet or salty? Again, both! happy or sad? (just kidding) Ha ha - thankfully very happy. harry potter or james bond? Bond for sure. 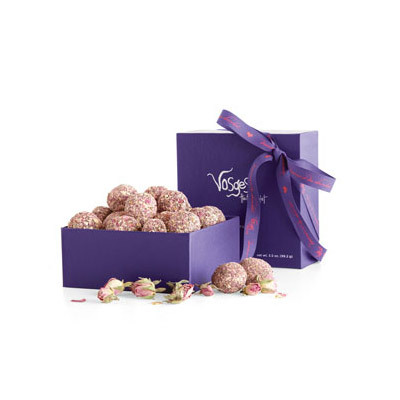 The Bacon Truffle Collection from Vosges. Le Chocolat en Rose Truffles (also from Vosges), inspired by Edith Piaf's "La Vie en Rose." But then I reread your query and realized you want something to give them at the rehearsal dinner. My favorite cinematographer recommends Hudson Baby Bourbon. He says "Old Potrero Rye is also very nice... If you want a west coast thang." *As a newly minted member of The Tiny House Club, I have quickly come to appreciate gifts that are decadent and impermanent. We got my parents each a small sentimental thing and then sent them off to a luxury spa hotel for an overnight (in the future, not that night) as a thank-you. It was such a busy, exciting, and stressful time, AND they had helped us pay for the wedding, so we thought the thing they'd most like was the chance to unwind and have someone else spoil them. It was a perfect present for them. Since we gave each family member something personalized and often not equal in value, we pulled each person/set of parents aside during the rehearsal dinner to give them their gift. It was a nice change to sit for a moment and show our appreciation. we still haven't gotten my parents anything. mostly because we are the worst people in the world. also I got my boss those spoons and a larger version of those bowls for Christmas last year. I'm planning on getting them for myself this year. they are bot awesome. it didn't even occur to us to get presents for our parents. The Joan Baez parents might be gin drinkers. Judging from my personal data pool. In which case, Junipero? Stupid question (I have when people say that, because there's no such thing as a stupid question blah blah). But yeah. Why are the Vosges not appropriate if they're being presented at the rehearsal dinner? Because they're edible, and so they might feel pressured to share with the other guests? Or they're just not formal enough for the occasion? I don't get etiquette... halp! but maybe i'm overthinking it. i do that. I was lame and simply took my parents out to dinner, but if I could do it again, I'd get my (florist) mother some really lovely Japanese gardening shears and my dad a really nice fishing rod blank. But... my parents are really odd and don't drink or enjoy objects. Love those gold coffee spoons and the bowls, if I was a parent I'd really enjoy those... or the bourbon. Bourbon is always good. We got my parents a special single malt (Port Ellen) from the year of their marriage - my parents like an Islay malt and it lends itself to bottles from special dates. (and I've found my parents are increasingly keen on gifts to be enjoyed rather than objects per se). I feel guilty that the gift was kinda more for my dad. plan to get my Mum a little small something from her favourite Danish jeweller (where her wedding ring is from) maybe engraved. Or something. I worked at Vosges for a couple years (woo purchasing...used to buy all those purple boxes) and I can vouch for their chocolate being the best ever. 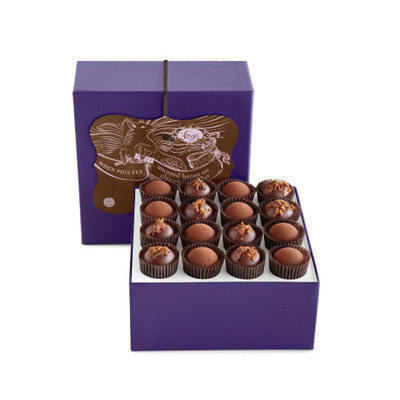 The truffles don't last as long but their are plenty of options on their website that are more shelf-stable. And they have gift boxes that include wine or beer if you want something a little bigger. My husband attests that bourbon is amazing. I don't care for bourbon*, and if your parents don't, either, they also make an amazing rum. *I do like Manhattans and Mint Juleps, but I stick to Woodford Reserve for those - it's a little less expensive ... the Tuthilltown is meant for sipping. We bought our parents a plant each - a rose bush to be precise - which went down a treat; as far as I know none of them have died yet. Cosign on the Old Potrero rye... and try the unusual & delish Root liquor for the sweet-teeth (plural of sweet tooth?). 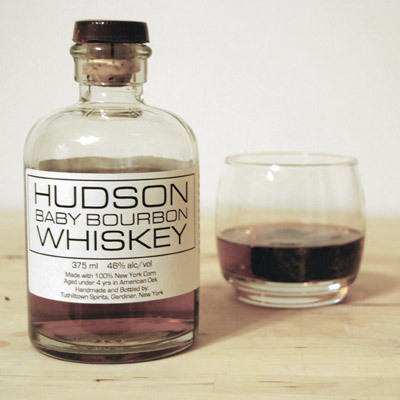 I second the Hudson Baby Bourbon suggestion--it is FANTASTIC and beloved by everyone who receives a bottle.